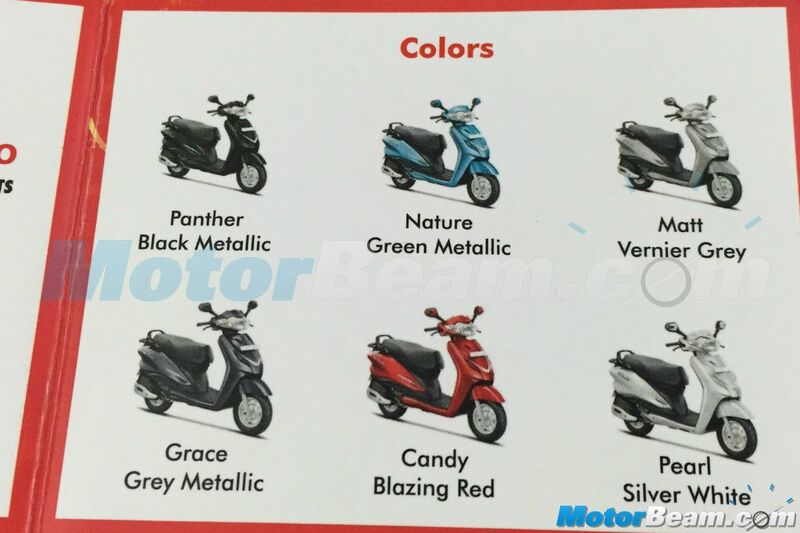 Thanks to Motorbeam report, we now have colors, brochure and specification details of Hero Duet even before its official launch. 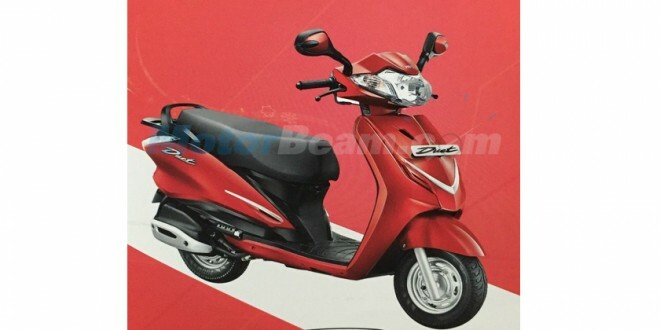 The launch of all new Hero Duet scooter from Hero MotoCorp has been scheduled within the month of September (Update: on 29th September) , the brochure & technical specifications of the upcoming Hero MotoCorp Duet scooter have been leaked online. The yet to be launched Hero Duet is going to be powered by 110.9cc, single-cylinder, air-cooled petrol engine that produces 8.43 PS of power @ 8,000 RPM and 8.30 Nm of maximum torque @ 6,500 RPM. The engine comes mated to a CVT gearbox. Alongside launching the new Hero Duet, the company is expected to bring the Maestro Edge scooter in India on 29th September.